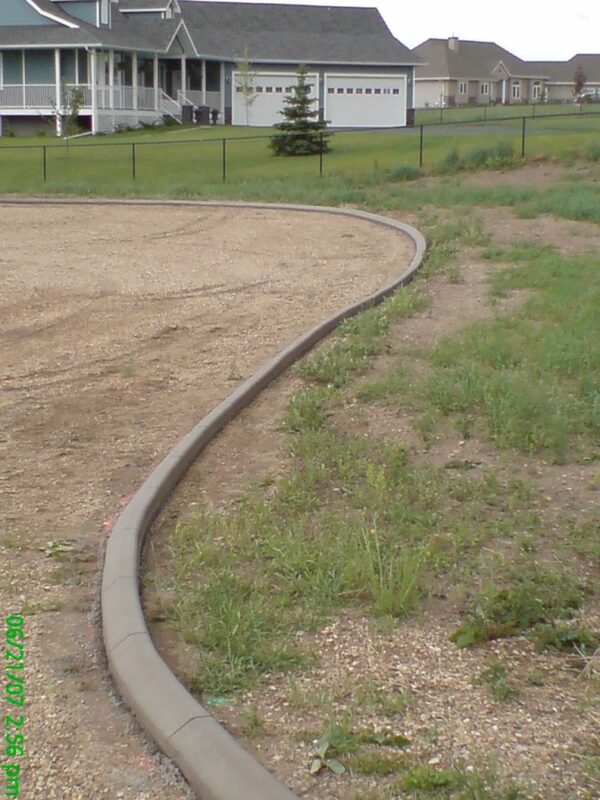 Curbing makes for tidy edges on gravel driveways. 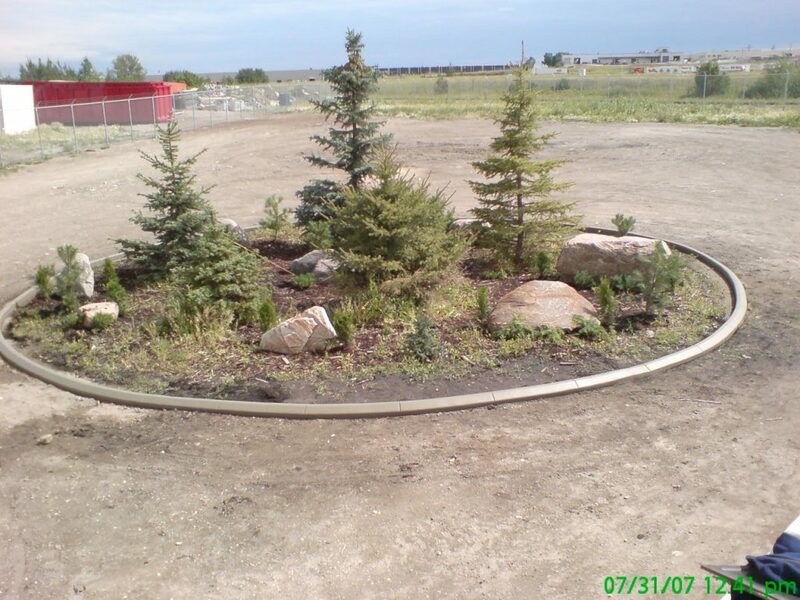 Usually gravel and lawn together leave a messy edge that looks unkempt. 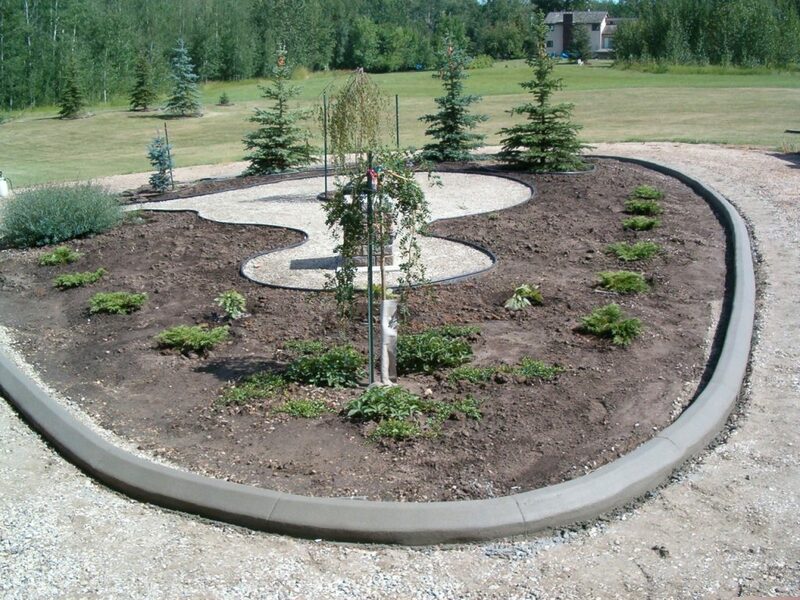 With a curb edge, the gravel can be kept weed-free with the defined separation from the lawn. Harrowing and spraying are both good strategies for keeping weeds down in the gravel area, and the lawn can be lush and green right to the edge. 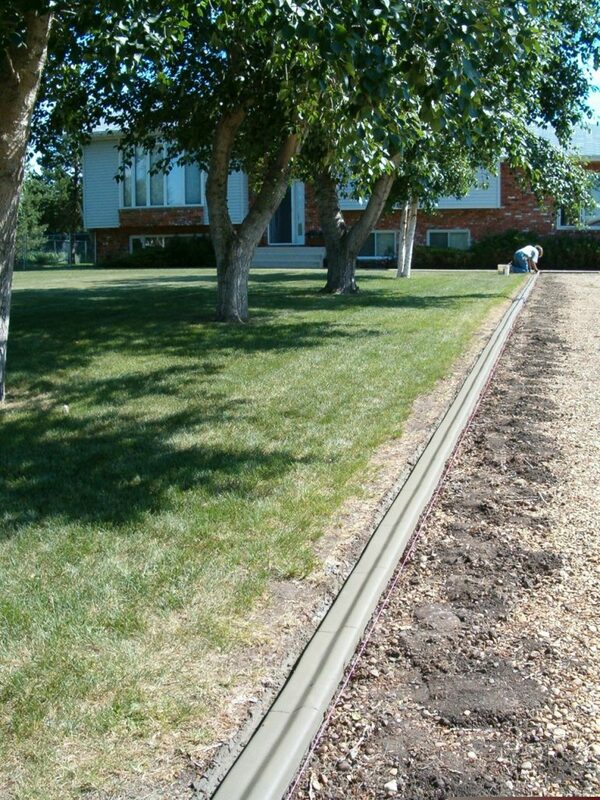 Light duty curb like mower edge, flat top or low angle border are more vulnerable to show removal damage. If you are using a machine with a blade, they are not recommended. 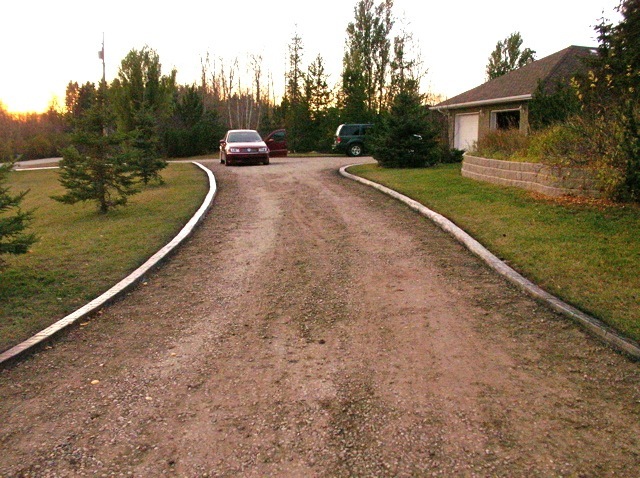 5X6 curb is best for gravel driveways. 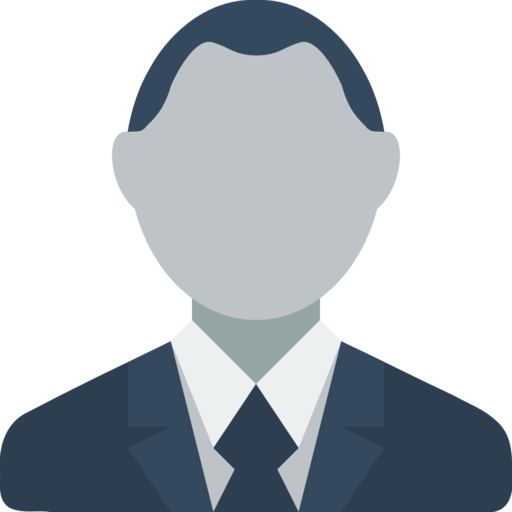 we generally install it with pins driven into the base, and with horizontal steel reinforcement. This makes it tougher for snow removal activities. 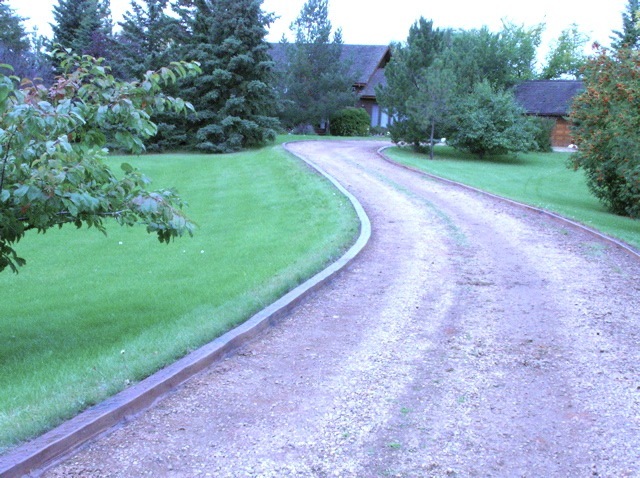 Driveway edging can be damaged by driving over it with heavy vehicles. It can generally handle light bumps from cars. 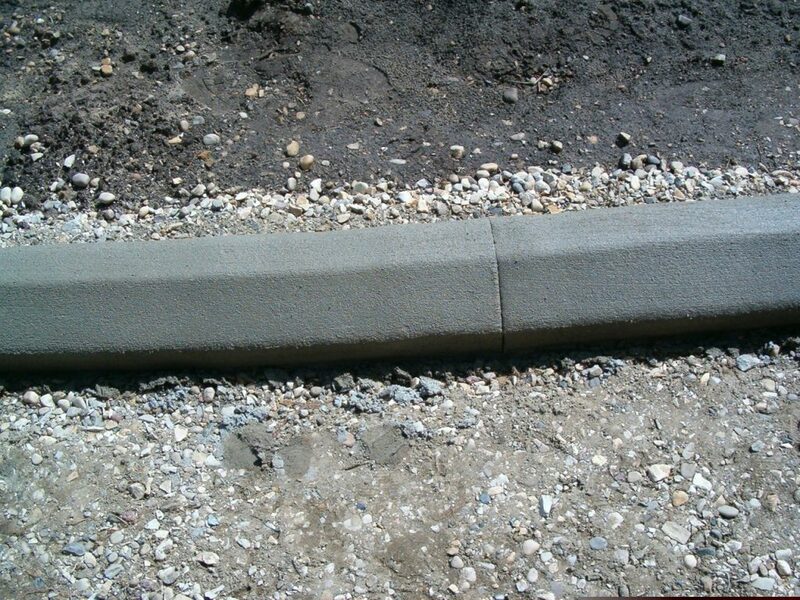 When pinned onto an asphalt surface, even light duty curbing is very tough. 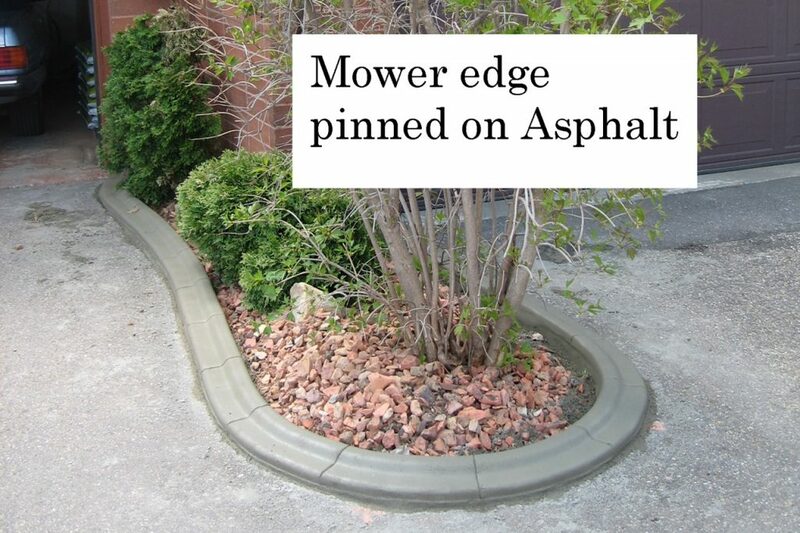 We have used it in condo complexes to trim all the asphalt, and it has proven quite durable even in narrow areas. 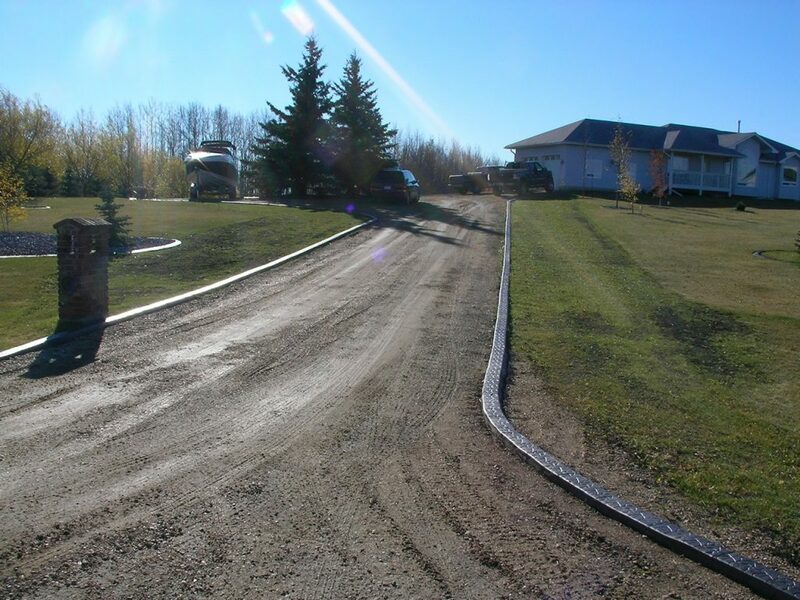 FLUSH FINISHED CURB for asphalt driveways. 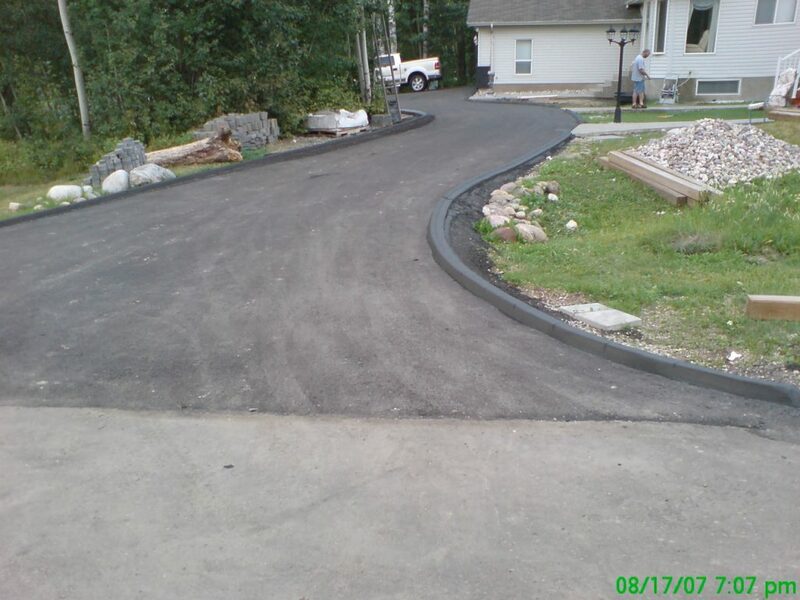 We also do a flush finish curb next to saw cut asphalt. Grass naturally migrates into asphalt, “eating” into the edge. 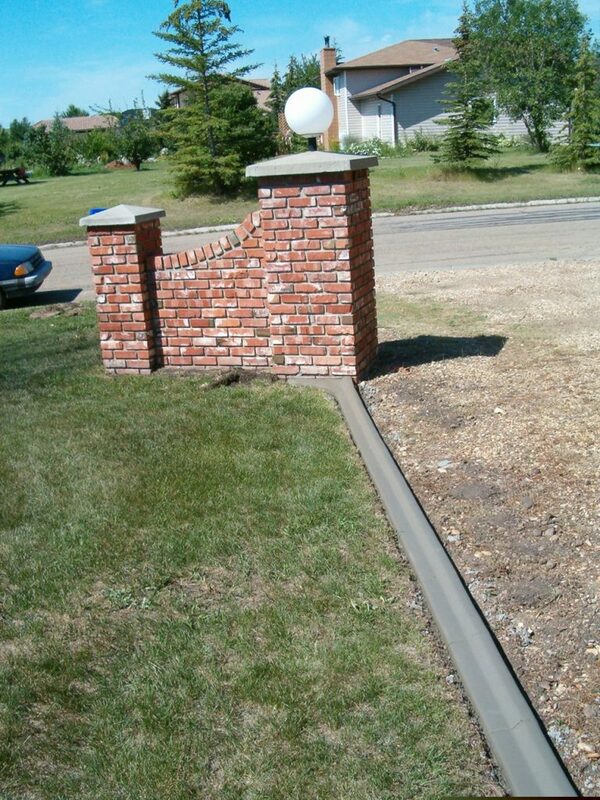 If you get the edge cut off, we can place a concrete border next to the asphalt, stopping that messy weed- infested look on an expensive paved edge, yet avoiding the issue of a raised curb that is vulnerable to snow damage. As far as I know, we are the only curb company to offer this. Yet for some reason I can’t find a photo right now! Driveway- Flat top- ground was a bit rough on this one. some backfilling/leveling is required to finish this. Overall, a very good job. I've seen vey bad jobs done on driveways like this. This really tidied up the driveway. I thought the water truck would destroy it because its only 13' accross. After 5 years, we did replace a 30' section that got run over. Otherwise the curb has done really well. pretty decent long lines if I do say so myself! 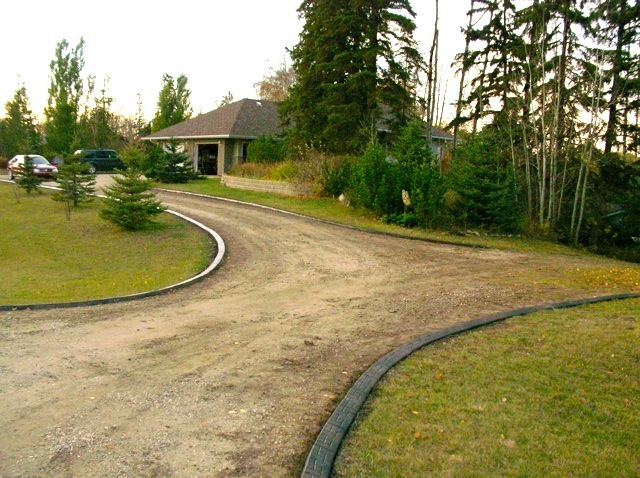 That is the biggest challenge- I've seen many very poor jobs of driveway edging because some curbers just can't do it right. light duty driveway edge you need to be very careful with this curb. but it does keep the gravel edge tidy.